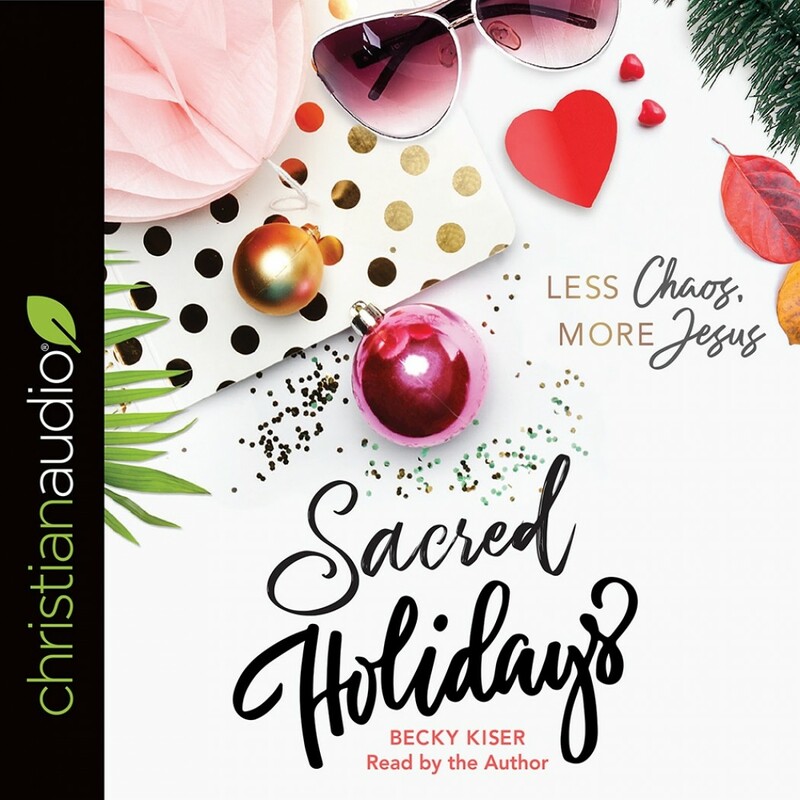 Sacred Holidays | Becky Kiser | Audiobook Download - Christian audiobooks. Try us free. Do you enter every holiday wanting it to be meaningful, only to find that it feels chaotic with no direction? We set New Year’s goals we can’t keep, struggle to love or be loved on Valentine’s Day, and find it hard to celebrate the risen Jesus when we are searching for the perfect Easter dress. Our summer and back-to-school seasons are whirlwinds, even as adults; we aren’t quite sure what to do with Halloween as Christians; and we feel less than grateful at Thanksgiving because it is sometimes full of complicated people. Even Christmas becomes a challenge, as celebrating Jesus gets lost behind twinkling lights and a mountain of gifts. Holidays are meant to be more than chaos with glimpses of grace; they are meant to draw us closer to God and one another. We want all the whimsy and joy the holidays held when we were children, before life crowded it out. We want the holidays to reflect our love for Jesus and reveal the grace that has been lavished on us, but life is so busy that setting a game plan just doesn’t happen. No more. It’s time to stop trying to survive the holidays or over indulge the whimsy, and instead live in the abundant life God called us to live. Sacred Holidays is part book and part resource: meant to help you avoid what has tripped you up in the past and give you insights, tips, and tools to make your holidays less chaotic and more about loving Jesus and others. Don’t let your holidays be marked by regret, whirlwinds, or survival mindset. Let’s celebrate every holiday together purposefully and worshipfully–loving Jesus and others well in every moment.